When we estimate the cost of our services over the phone, we use the size of a standard room. However, we reserve our right to change and adjust this term, considering the property itself or in case the Client changes their requirements. 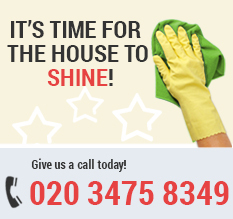 The end of tenancy cleaning service we offer has a 48-hour guarantee. Within this period, our clients can claim a re-clean, in case they are not satisfied with the cleaning of certain areas. Our professional cleaners will return to your property and clean these particular areas, if there are any, free of charge. Complaints cannot be made after the guarantee expires. Unless an agreement between the Client and the Company has been made prior to the cleaning process, the payment has to be made at the moment the tasks are completed. Our cleaner/team of cleaners have to be given cash payment before leaving the property. Payment can be also made by a bank transfer but only if the Company has agreed to this in advance and the payment is made no later than a day before the appointment. In case no payment is received on time, the Company reserves the right to cancel an appointment. To cancel an appointment without being charged a cancellation fee, the Client has to inform the Company by contacting them no later than a day in advance. In case a property is considered dangerous to the health of our employees or the assigned cleaner/team is faced with unfortunate circumstances, the Company reserves the right to cancel an appointment. No refunds can be claimed once the cleaning process is completed. In case the Client has any complaints, a written notice has to be sent within 24 hours after the cleaning has been carried out. If we receive a complaint, we will make a complete investigation and do our best to eliminate and take care of any issue. The Client is required to allow access to the property. In case a third party has been involved in the cleaning process by the time our team is sent to the certain place, the Company does not take any responsibility for complaints. Our experts make sure they carry out their work gently and professionally. However, accidents, such as breaking an item, are possible. Therefore, we require our clients to move away items of a big material or sentimental importance. The Company requires access to the property up to 24 hours after receiving a complaint. We are not responsible for damages that were present before the appointment or such, that were not cause by our cleaners. We do not take the responsibility for burns or other heavy stains that cannot be removed completely, using the traditional methods that the Company has. Our professional cleaners will do their best to provide every property with ideal cleanness and perfect results. However, in case a heavily stained or damaged area is present, perfect results can not be expected. To carry out fridge cleaning services, the Company requires that the freezer is defrosted in advance. Otherwise, the time that is planned for the cleaning process will not be enough for our cleaners to defrost and clean the fridge. Collecting or waste is not included in our gardening services. To carry out end of tenancy cleaning services, we require that furniture has been already removed from the property. Otherwise, we are not responsible for imperfect results. The Company requires the access to electricity and running water at the time of the appointment, in order to be able to carry out the cleaning work. In case there is a lack of electricity and water, the Client will be charged a fee of £60. The Company also requires access to the property at the appointed time. Keys have to be able to unlock and lock doors without any special effort. The Client will be charged a fee of £60 in case our cleaners don’t have access to the property. Our employees have to be paid cash at the end of every cleaning appointment. If the Client wants to have a meeting with a cleaners, £10 have to be paid to cover travel expenses. At the time of the appointment, our cleaners have to be provided with all the necessary detergents and equipment. Regular cleaning appointments can not be changed. Each time they are carried out on the same day and at the same time. We do not reschedule regular cleaning services. In case the Client wants to cancel an appointment, the Company has to be contacted no later than 24 hours before the appointment. Otherwise, we charge a non-refundable fee that is the exact amount of the service itself. Regular services carried out on a weekly basis take two hours. On a weekly basis, they take three hours. Services that are charged above the minimum can benefit from our discounts. Discounts do not apply for hourly-based cleaning services. The Company does not take the responsibility for cancellation of an appointment due to external factors and unexpected circumstances. Once the cleaning has been carried out, refund claims will not be accepted.